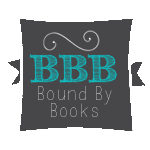 Bound By Books Book Review: Beautiful Torture by Emery Jacobs is LIVE. Beautiful Torture by Emery Jacobs is LIVE. Twisted Fate is a story about finding your way after tragedy for both Jake and Jovie. This story had love lost, found, angst and some humor. It was an enjoyable read, while slightly predictable, I would still recommend it to others. Jovie is finally out from under her parents thumb when she returns home to Texas to attend college with her best friend Layla. She cannot wait to live her life on her terms and no one else's. She is determined to work past the events of her childhood that sometimes hold her back and plague her with anxiety. Jake is against relationships after his last one left him with more guilt than any one person should carry on a lifetime. Only having hook-ups and walking away when girls become attached, Jake cannot understand the pull that Jovie has over him. begins to let go of his past. But when truth comes to light will Jovie and Jake be able to move forward or will they be separated forever?